I think it was a week ago when I was talking with a friend who just saw Fuerza Bruta. I would be lying if I say her notes on the experience did not intrigue me. I have not seen the show!!! But these images makes me want to go! On Mar 15 and 22, 8PM, instead of having an all-female cast do the show, it would be an all male cast who would be performing; hence Girl's Night Out. 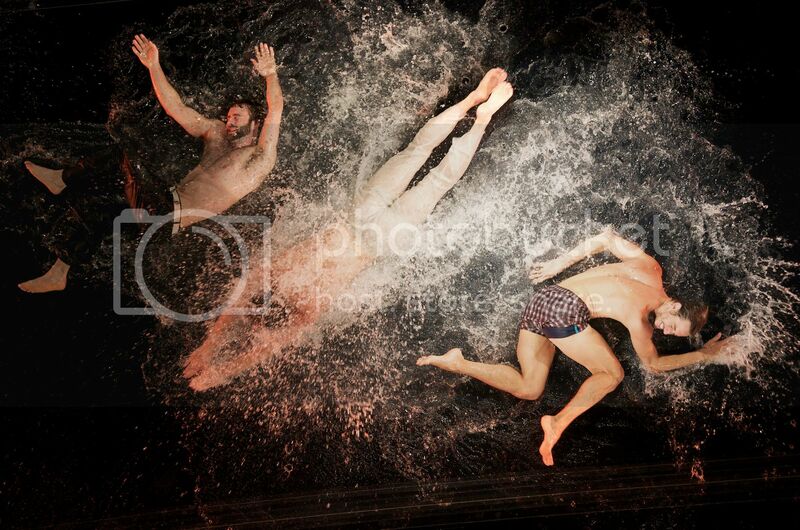 To me, I think technical and theatrical are the words that captures Fuerza Bruta. If you want a visually challenging experience, I guess all dives meet at the Manila Hotel Ten until March 26. Bringing the 360-degree interactive theatrical spectacle to Manila is Hoopla Inc., also the official promoter of Cirque du Soleil in the Philippines, in cooperation with official hotel and residence Manila Hotel, official sponsor FOX International Channels, and sponsors Antonov Vodka and Magnolia Pure Water.